Many adolescents with type 1 diabetes (T1D) have difficulty completing self-management tasks within the context of their social environments. Group-based approaches to psycho-educational support have been shown to prevent declines in glucose control, but are challenging to implement due to youths’ many activities and costs. A novel solution is providing psycho-educational support via the internet. The purpose of this study is to describe the cost of developing and maintaining two internet psycho-educational programs, both of which have been shown to improve health outcomes in adolescents with T1D. We calculated actual costs of personnel and programming in the development of TEENCOPE™ and Managing Diabetes, two highly interactive programs that were evaluated in a multi-site clinical trial (n = 320). Cost calculations were set at U.S. dollars and converted to value for 2013 as expenses were incurred over 6 years. Development costs over 1.5 years totaled $324,609, with the majority of costs being for personnel to develop and write content in a creative and engaging format, to get feedback from teens on content and a prototype, and IT programming. Maintenance of the program, including IT support, a part-time moderator to assure safety of the discussion board (0.5–1 hour/week), and yearly update of content was $43,845/year, or $137.00 per youth over 4.5 years. Overall, program and site development were relatively expensive, but the program reach was high, including non-white youth from 4 geographically distinct regions. Once developed, maintenance was minimal. With greater dissemination, cost-per-youth would decrease markedly, beginning to offset the high development expense. This study was funded by the National Institutes of Nursing Research (NINR)/National Institutes of Health (NIH) grant #2R01NR004009 to Margaret Grey and Robin Whittemore, PIs. Development of the Internet programs was supported by intramural funds provided to Margaret Grey. Neither the entire paper nor any of its content has been submitted, published, or accepted by another journal. 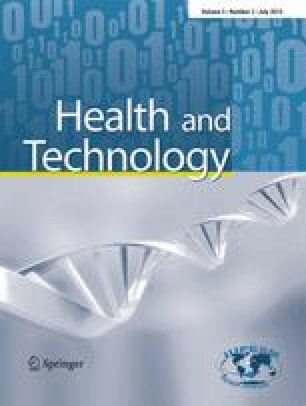 The paper will not be submitted elsewhere if accepted for publication in Health and Technology. No data have been fabricated, manipulated or plagiarized. All co-authors have contributed sufficiently to this work. They and responsible authorities at Yale University consent to the submission of this manuscript.